I can't go to every event, but thanks to the evolution of Internet-broadcasting technology, I don't have to. 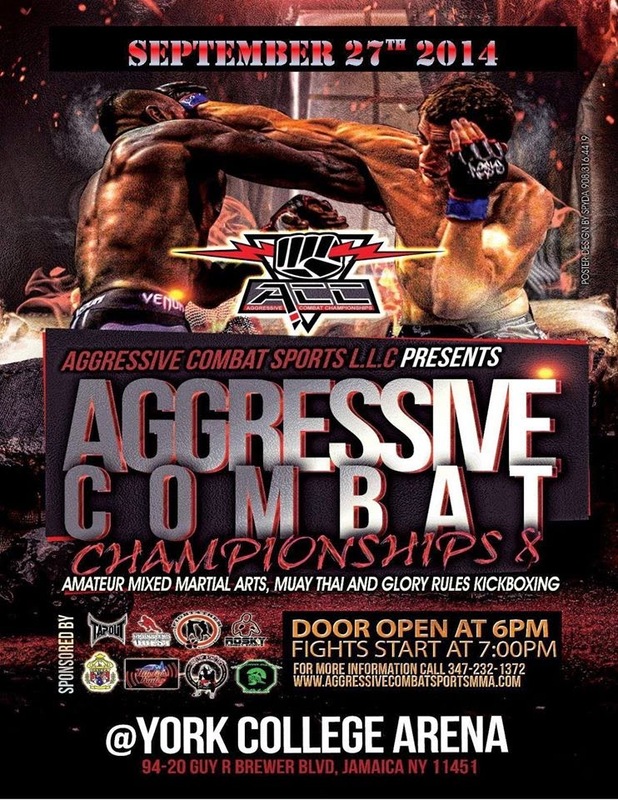 Here's some of what you and I missed at this past Saturday's Aggressive Combat Championship 8, which took place at the York College Arena in Jamaica, Queens. Watch. Enjoy. And get a sneak peek at the area's future stars of the cage.